The audience immediately connects with this open-air installation. After all, for some time now, the media have focused their attention on wild animals – among them the eagle, the lynx, the wolf and – of course – the bear – that man has driven to extinction since the 17th century for being a threat to human existence. 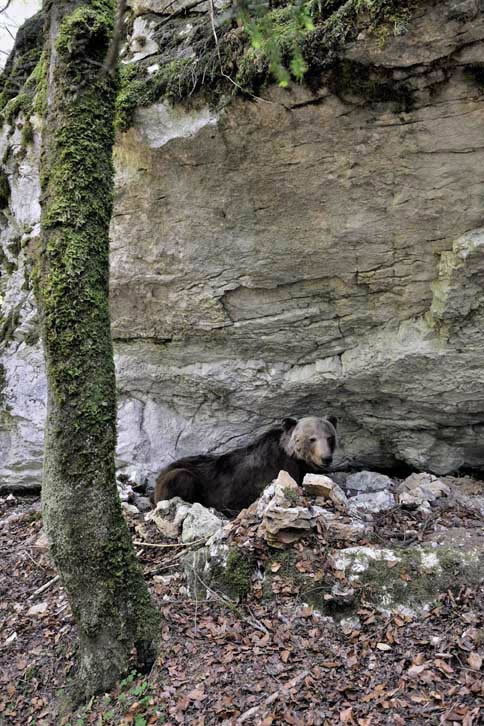 Switzerland's last native bear was killed in 1904. These totemic animals have long adorned many a coat of arms. They feature prominently in ancient legends, folk tales, myths and fairy stories. Their cuddly-toy cousins play the important part of comforting our very young in nursery rooms all over the world. At the same time, people in central Europe have been discussing the return of these wild creatures. Is there room for them in our lands? What would be an adequate way of dealing with them? After all, a brown bear was shot after crossing the border from Italy into the Grisons in 2008: he had shown no fear of humans. 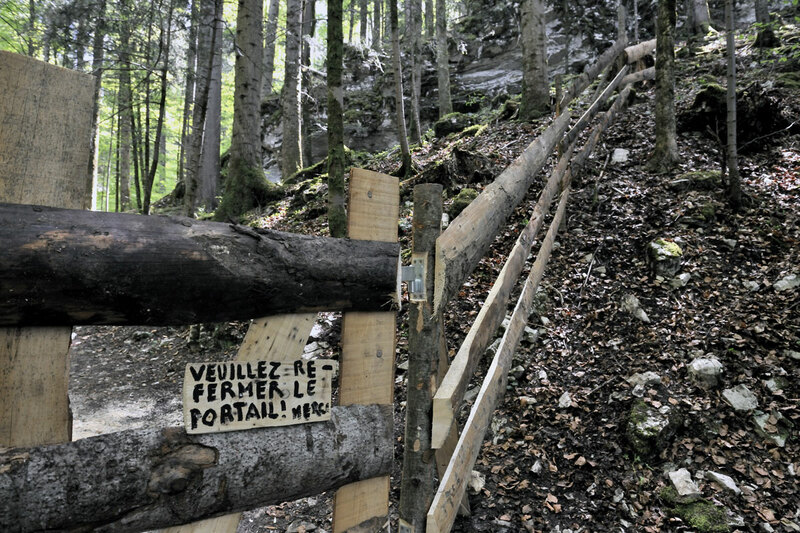 Since the 1980s the annual open-air art show, Art en plein air, near the small town of Môtiers in the Jura mountain range, has featured an impressive range of art works that address public art in a natural space that also displays many traces of human culture and cultivation. What do nature and culture/cultivation signify in terms of art? What is art's purpose in this context? Whereabouts in human endeavour do we locate nature? 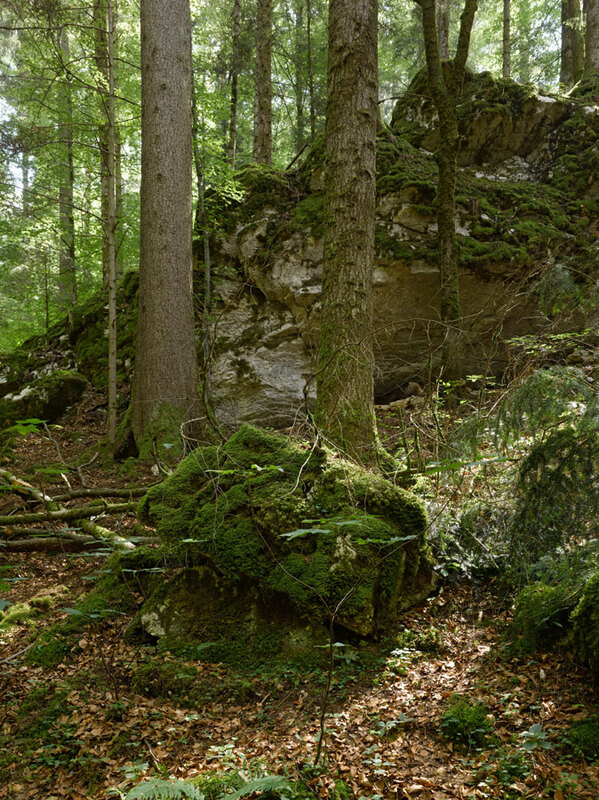 And where does nature end in our cultural interventions? These are some of the questions that Simon Beer addresses in his installation that looks back to the past, making use of clichéd museum presentations of animals in their "natural" environments – including "aahs" and "oooohs" from his audience. But: have we been reduced to experiencing our environment as a beautifully staged, perfectly safe open-air exhibition, complete with an easy trail on which we set out from the picturesque medieval town, following an idyllic stream that rises into woodland with rocky outcroppings, to find ourselves in a pleasant meadow on higher ground? The great Grizzly beneath the rock ledge in the heart of the area is a part of this trail. He has been set in an enclosure that we enter to experience a convincing if deceptive reality suspended in preserved stasis. Has simulation encroached on all of our reality? When did that lost moment occur at which our reality was appropriated and transformed into culture? It must have been a very long time ago that he last bear of Val-de-Travers spread fear and terror among the villagers, and ripped small children to pieces with his big paws. But it is even longer since man, intending to subjugate Earth to his will, gradually assumed all his power. Now, however, we humans must wonder what fate or fortune lies ahead of us. View of stuffed bear in front of its cave; seen from above. Bear being transported to installation site. Taxidermied Grizzly bear (Canada); posts, planks; two gates for enclosure; rocks; size of enclosure: approx. 3,500 sq m (4,185 sq yds).